Richard L. Mattiaccio - Arbitrator based in New York, New York. If you’d like a list of available dates for Richard Mattiaccio, please submit a request below. For more than thirty years, Richard Mattiaccio has served as an arbitrator in scores of business contract disputes and he has broad experience in mediation both as counsel and as mediator. He has served as tribunal chair, sole arbitrator and tribunal member in connection with a broad range of international and domestic commercial, intellectual property and executive employment disputes. In mediation, he has effectively represented clients in obtaining settlements and he has successfully mediated disputes between parties in long-term commercial relationships. Richard Mattiaccio's focus is on neutral work in domestic and international commercial, IP and executive employment disputes under AAA/ICDR, CPR, ICC, and UNCITRAL rules. He continues to represent a few longstanding clients and the occasional new client witha particularly challenging domestic or cross-border business disputes; he provides consulting services to litigation counsel in arbitration; he advises on the negotiation and drafting of arbitration agreements; he acts as settlement counsel. 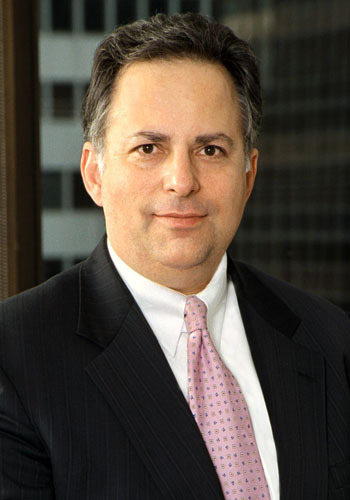 Richard Mattiaccio is a veteran litigator of business, intellectual property, executive employment and cross-border disputes. He has represented domestic and international clients in federal and New York State courts, in arbitration and in mediation in a wide variety of industries including aerospace, automotive, banking, commercial real estate and finance, fashion apparel and accessories, food and beverage, hospitality, industrial products, medical devices, and professional (ranging from law and accounting to investment advisory to engineering and technology-related) services. Depends on complexity of case. Please contact me to discuss.